When choosing to stay in Koh Samui you have a choice of a plethora of accommodation. You could choose an apartment, a hotel or a villa. Which would be right for you? 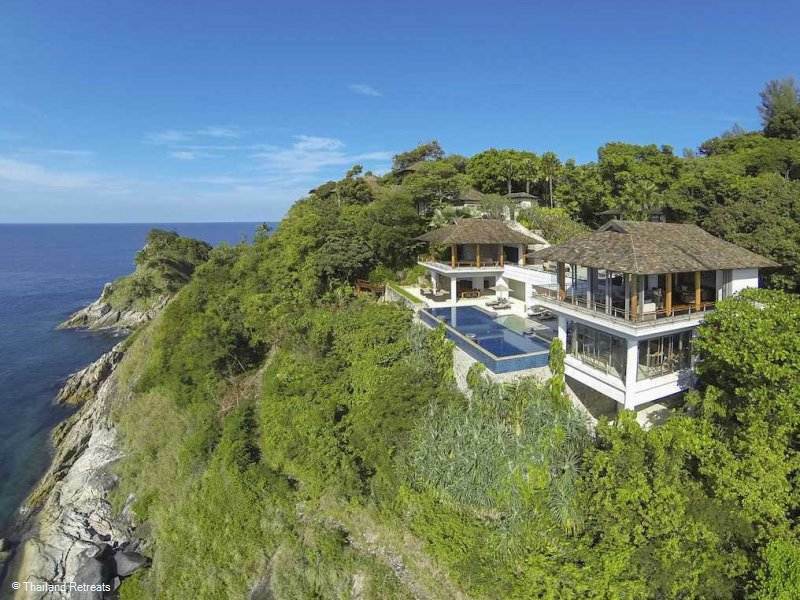 Many villas are set in a secluded location in the hillside although some are located on a busier beachfront. Check the location details before booking. You can find hotels that are set in private locations too. At a villa though, you will be the only guests - peace out. Value for money in a villa or hotel really depends on how many people are travelling in your party and which hotel/villa you are choosing. Quite often, if you have a larger party, a villa can provide better value than booking individual hotel rooms and you can upscale the kind of accommodation you would normally have by a few of you travelling together. In a villa you also have the option of self-catering some of your meals, which can reduce overall holiday budget. If you measure the square foot of a hotel room and compare it against all the rooms in a villa - the villa is likely to win. Family and friends can spread out in a villa without getting in each other's way. In a hotel your room is the only private area, but you will have the benefit of all the hotels amenities and grounds. The beauty of a hotel is the service you receive - it really is a holiday when you don't have to worry about cooking, tidying and cleaning and you can just ring reception for anything you need or room service. Or use the concierge to assist with your trips around the island. Surprisingly, you can get brilliant service like this in a Thailand villa. Many villas on the Thailand Retreats website come with resident staff. The resident staff usually keep the villa clean and tidy, there is often a villa manager and concierge team on hand to help not only with matters arising in the villa but to help organize activities outside of the hotel or to organize in villa spa treatments. Some villas also have an on site Thai chef that can cook to order. So you would have a break from the cooking after all. If you do not stay in a villa with resident staff your linen will likely be cleaned and changed a minimum of every 3 days. The cooking will be up to you or you could always eat out! See our other blog post on Dining out in Thailand. Most hotels have a choice of restaurants or have restaurants a short stroll away and offer room service however to match this the management in some of our villas arrange for takeaways to be delivered to your villa on request which is easier to avoid the language barrier of some of the restaurant's Thai staff. Most villas have stylish modern kitchens, so if you want to whip up a family feast you can. This can help reduce overall costs and ensure everyone gets what they want to eat. However in most of the villas that we feature in Thailand you will be able to pre-order groceries from a shopping list and if you do not wish to cook, you will often be able to use the services of a chef and try delicious authentic Thai dishes. Most will also be able to cook Western food and special requests of the children. Some also mix a mean cocktail too. Some of the private hillside villas will require a short drive to restaurants, but many villas are just a short stroll from a choice of restaurants. Like most hotels, many villas have a swimming pool. A hotel pool may be larger, but a villa pool will often be private, although occasionally a shared communal pool. There is nothing like lazing back on your lounger of the decking of your own private infinity pool and taking in the sunset and even better to find that sun loungers are not already "taken" with towels on when you get to the pool! Hotels may have a spa and conference rooms and a children's play area to benefit from. If you have decided the flexibility of a villa stay might be for you, browse through all of our luxury villas at www.ThailandRetreats.com.